Another former Mumbai Police commissioner has signed up for a political party. 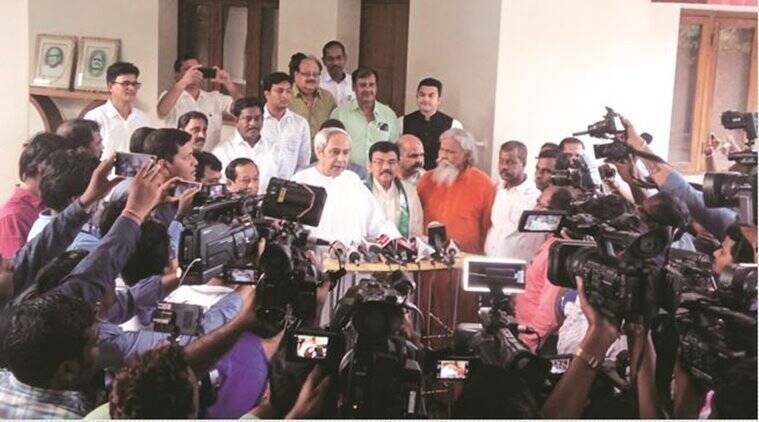 After Satyapal Singh who contested the 2014 polls and is now a minister of state, Arup Patnaik, who was the city police chief in 2011, joined the Biju Janata Dal (BJD) on Thursday. Arup Patnaik, known as the “bar busting cop”, joined the party in the presence of Odisha Chief Minister and BJD president Naveen Patnaik, who said he would be a “tremendous asset”. Arup Patnaik told The Indian Express that he would contest elections if asked by the party. “Once you join politics, contesting elections is one of the options. If the party finds any merit in me and asks me to contest elections, as a dedicated soldier I will do so,” he said. When asked why he chose to foray into the political arena, Arup Patnaik said, “As a police officer I loved my job. I loved my uniform and I served my entire term and did not quit midway. I was sure that I won’t work with a corporate entity post retirement. So when Naveenji proposed that I join his party, I decided to do so as he is an upright man and is known for his clean image,” he said. The 1979-batch IPS officer served Maharashtra Police in various capacities before retiring in 2015 as the Director General of Maharashtra State Police Housing and Welfare Corporation. During his stint as the Commissioner of Police, Mumbai, Arup Patnaik appointed controversial Assistant Police Commissioner (retired) Vasant Dhoble as the head of Mumbai Police’s Social Service Branch (SSB) to lead a crackdown on these establishments. The hockey stick-wielding cop, Dhoble reported directly to the commissioner on cases pertaining to SSB. Arup Patnaik is also a trustee of the Konark Cancer Foundation, a Mumbai-based NGO that provides logistic support to needy cancer patients undergoing treatment at the Tata Memorial Hospital. Last month, another serving senior IPS officer, V V Lakshminarayana, applied for Voluntary Retirement Service (VRS). Lakshminarayana was serving as the Additional Director General of Police, planning and coordination, and had cited “personal and family commitments” while applying for VRS. However, sources close to the high profile officer, who headed the Satyam scam probe team, claim that he wants to work in the field of rural development and would move to his native state, Andhra Pradesh, soon. There are reports that Lakshminarayan may join the Praja Rajyam Party (PRP).